The National Hurricane Center says Earl has strengthened into a Category 4 hurricane This doesnt seem good!!! 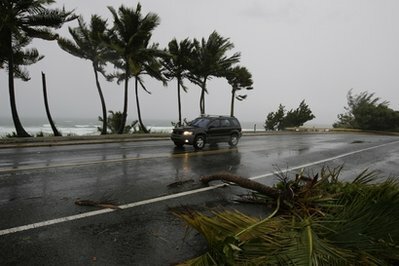 The winds are lashing out with speed nearly 135 mph (215 kph) as it moves away from the Virgin Islands. Earl is on a path that could brush the coast of the U.S. later in the week, though it’s too early to tell exactly where it will go. For now, tropical storm warnings and watches are in effect for the U.S. and British Virgin Islands, the Turks and Caicos Islands and the southeastern Bahamas, among other places. Puerto Rico is also bracing for heavy rains and high seas. Tropical Storm Fiona is right behind it, east of the Leeward Islands.